Thank You To The Blues Foundation! 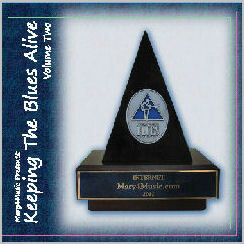 Listen To Tracks From "Keeping The Blues Alive, Volume Two" by clicking each track. Once you've listened, contact the artists - their links are below - for information on purchasing their individual discs. "A Day Late And A $ Short"
The cd is being sent to approximately 200 radio stations that have blues as part of their programming. Below is a partial list of radio stations and programs the cd was mailed to. Jook Bourke is another Mary4Music alumni. 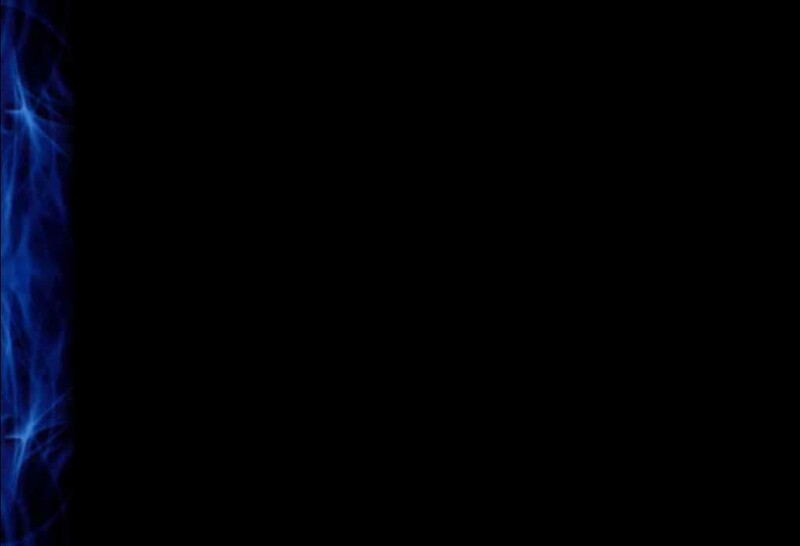 As a matter of fact, back in 2007, the title track off of his "Just A Minute" CD was the recipient of a "Blewzzy Award" in the Best Song Category. Well, Jook's back at it again with another amazing song titled "Ain't Nobody Knows". This one's got it all going on. If Jook's guitar playing and vocals don't knock you out, the fierce rhythm and smokin' saxophone interludes will. Mama Groove is another of seven of the ten bands familiar to us here at Mary4Music. It was just about six months ago when when Mama - Ysabell Gagnon - was blowing me away with amazing vocal range. Trust me when I say that you shouldn't have a sole distraction while listening to "Soul Distraction". It's a compelling opening track that just commands attention. The driving rhythm, the guys tearing it up on guitars and organ, and the dominance of Ysabel's vocal artistry will all blow you away as well. Memphis Gold and I have been working together so much over the years and as far as I'm concerned, every minute of it has been an absolute pleasure. In addition to being a heck of a guitarist, singer and songwriter, he's a heck of a person as well. I could literally spend hours here telling you about him but instead I'll just suggest you research him and find it out on your own. Do it, you'll be impressed. Although preachers are usually there to help and guide you through your periods of the blues, Memphis seems to have found one that's causing him some instead. You see, his woman running off with the preacher has given him a bad case of the "Preacher Blues". With the horns blaring, the organ wailing and the rhythm pounding behind him, Memphis does some serious testifying on this one. Reverend Freakchild? Got you wondering? Can't say that I blame you. However, inasmuch as some of his other work tends to border on the wild side, "A Day Late And A $ Short" is all about the blues. I'm sure there's not a one of us who hasn't used the title of this song at least once in your lives. The song sounds like it was recorded at a party and features good guitar and organ highlights. The opening guitar licks tell you right off the bat that you're gonna love this one. Then the rhythm section gets going, Stan starts singing, the sax chimes in and.....BAM!.....before you even realize it, your feet are tappin', your fingers are snappin', your head is bobbin', and your body swayin’ and your smack dab in the middle of one hell of a blues song. Here's what I had to say about this track when I did a full review of the CD....."Wanting to hear about twenty more minutes of "One Of These Mornings", I just replayed this three and a half minute song about five or six times making it louder each time. It's not a coincidence that Stan's at disc's best on guitar on the disc's best track. This is really good stuff... I'm going back for another listen." So, does the title of this song leave any doubt as to what it's about? I didn't think so. No matter what, JC and the guys just can't seem to shake those "Blues Blues Blues". They've got 'em so bad they had to tell ya three times. This one’s got all the ingredients of a great song. Good vocals and vocal harmony, tight rhythm, and excellent guitar, harp and piano highlights. The title of this track is about a place that may sound familiar to some of us - the bottom of a bottle. Be it a bottle of Scotch, a bottle of Bourbon, or in this case a "Bottle Of Gin", it's not a nice place. Blues Dragon will testify to that. From the title of the song, to the way it's sung and performed everything about this track reflects intensity. I'd expect nothing less from a band that won a Mary4Music "Blewzzy Award" for their "Living On Death Row" song back in 2009. "Workday Blues" is rhythm driven blues at it's best. Take some ferocious drumming and chest thumpin' bass, throw in an organ and a bunch of horns and you're now listening to a full throttle smoker featuring excellent vocals from Darren and guitar by Darren Jay. Right after working with Darren back in March of this year, his USN Reserve Unit got deployed to Kuwait. As of this writing I'm happy to know that he's doing well and will be home in January, 2013. Although a stranger to me, Lisa Cee is certainly not a stranger to the music scene - at least not on the country's west coast . The list of artists she's played with sounds like a lineup from the Doheny Blues Festivals and from what I'm hearing, several of those talented players may very well be backing her up on "What Good Am I" Blues with an attitude is about the best way of describing Lisa'a energetic and vibrant vocal style. We are already busy securing bands for Volume 3. Click HERE and we'll send you some info.